Finding any historical details for specific woodlands can often be challenging. The site I used for my portfolio sessions was on the site surrounding a nearby reservoir. Fortunately some details have been collected on the history of the reservoir. Before the construction of the reservoir the land was predominantly fields with patches of woodland and this describes much of the surrounding area currently. The land, approximately 1600 acres, was purchased in the 1930s/40s by the South Staffordshire Waterworks Company. Around 800 acres of the land was flooded to form the reservoir. The company purchased an excess of land so they could control the surrounding land and minimise the risk of pollution. Part of the extra land purchased included the site of Stansley Wood Sawmill complex. The sawmill complex has since been redeveloped into the Blithfield Education Centre. It was the woodland adjacent to the education centre that was used during the portfolio sessions. From the outset the approach to management of the land appears to have had environmental impact at the heart of decisions. The woodland surrounding the reservoir is currently minimally managed. There are several permissible walking paths but the vast majority of the land is not accessible to the public. The two public toilets on the site are both composting toilets. There are several bird hides on these paths and feeding areas are well maintained and regularly stocked to support and encourage the range of birds and wildlife on the site. There is an active bird club that use the site and produce monthly records of the birds spotted along with annual reports. Clear felling involves cutting down and removing every tree in an area. Clear felling is a very economical way of harvesting timber but can have a devastating impact on a woodland. In the short term there is massive damage to local ecosystems. Clear felling an also damage the topsoil and result in the land taking far longer to recover and regrow. There is no clear felling on the site and it would not be an appropriate way to manage the site. Thinning is the process of removing the less healthy or less desirable trees to make. As trees grow the crown takes up more room and the tree require more resources. Removal of part of the canopy also allows light to reach lower levels of the woodland and encourage growth there. Thinning should be carried out with consideration, selective use of thinning can influence the dominant tree species and make-up of the whole woodland. 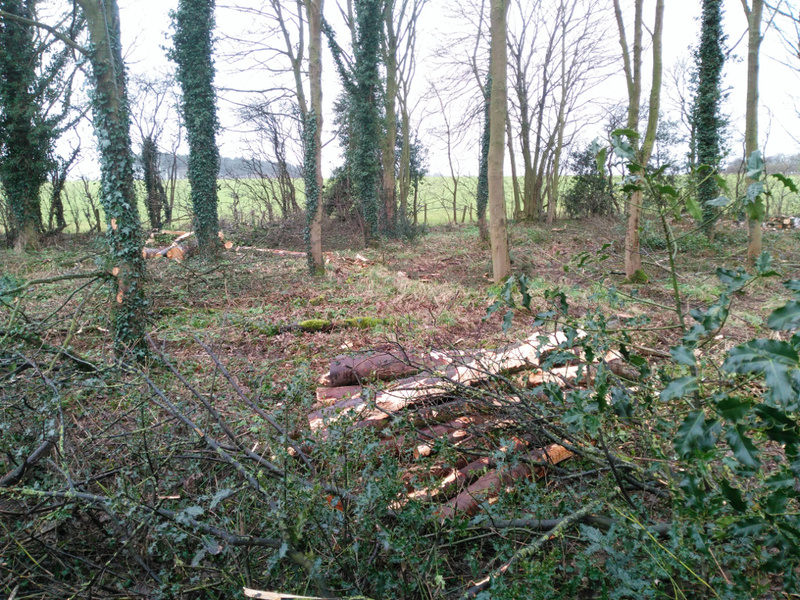 Thinning is used appropriately on the site with the majority of the felled wood being left as wildlife habitat. Thinning of woodland at Blithfield reservoir. Coppicing is a sustainable method of using a woodland to produce timber. It involves cutting a young tree back to ground level. Shoots will then regrow from that main stump (called the coppice stool). These shoots, once grown, can then be cut back ground level to harvest the timber and the process repeated. The woodland around the reservoir is not used to produce timber and I saw no signs of coppicing. Coppicing would be an appropriate management technique for the site and careful use may result in less need for thinning areas. Pollarding is the practise or removing the upper branches of a tree to encourage growth of a dense crown. It is primarily used to keep trees at a specific height, either to provide food for livestock (pollard hay) or for wood production, typically for fence posts, firewood or timber for boat construction. Pollarding can help trees to live for longer as there is not as much weight or height to the tree, limiting the impact of wind. I have seen no signs of pollarding on the site. Whilst it is a sustainable management technique the majority of the site already has a thick canopy so areas would need to be more extensively thinned before it could be used effectively. Habitat conservation is the practice of controlling or manipulating the amount and type of food or water available in an area. 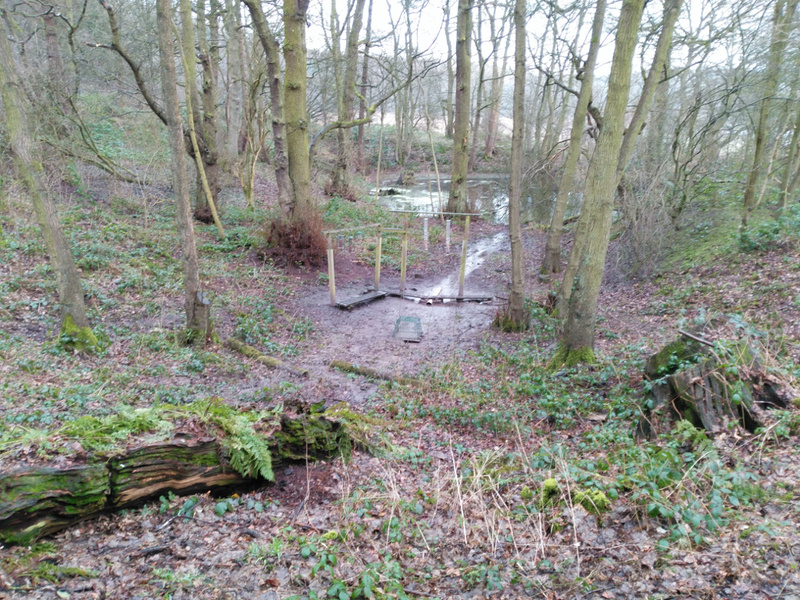 In the woodlands around Blithfield this is managed to encourage the widest range of wildlife. Public access is restricted to several permissible walks limiting disturbance to wildlife. A walkway has been built through a large wetland area to prevent damage to the land. Felled wood is left on site to provide habitat for wildlife. At several sites around the woodland there are well stocked bird feeders which are regularly replenished. These steps all balance out the impact of human visitors to the site. Bird feeders at Blithfield reservoir. The site is currently very well maintained and the impact of human activity has been carefully considered and controlled. The methods used are sustainable and will ensure a healthy future for the woodlands.